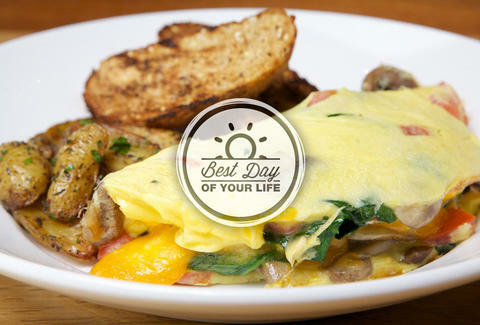 Where would you eat breakfast on the most perfect day ever? Start your engines, gents, because the Best Day of Your Life is just over a month away. So, yeah -- get psyched. Still, we're gonna need some help in deciding the agenda for this longest-of-all-days. Specifically: where is the best breakfast spot in town? Is it Jam, Waffles, 2sparrows, or Kingsbury Street Café?